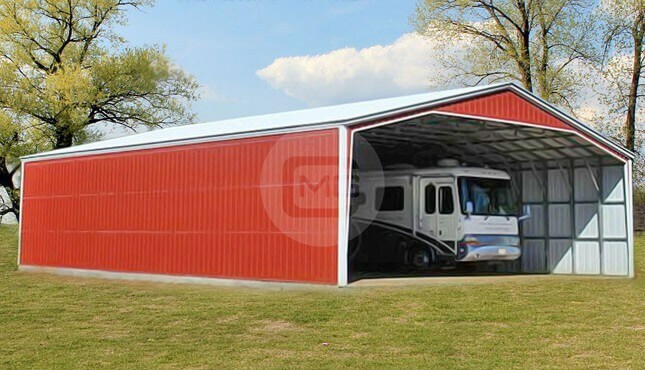 36 x 46 x 17/9 Custom Carolina Barn (Raised Center Aisle Carolina Barn) with Vertical Roof Style – 5′ Step down from Center to lean to’s, 3′ slope on lean to’s. 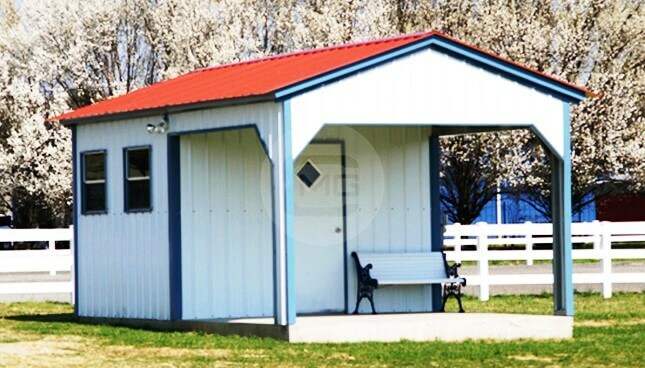 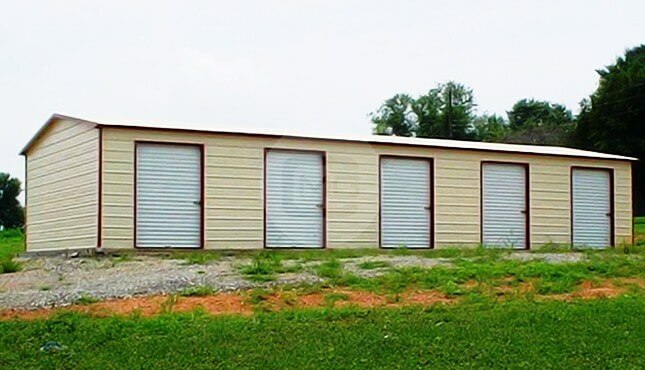 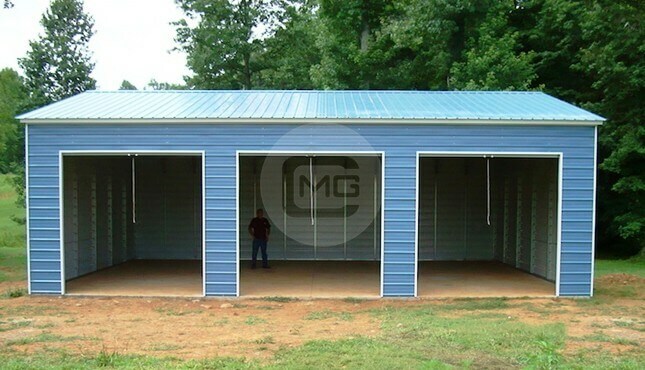 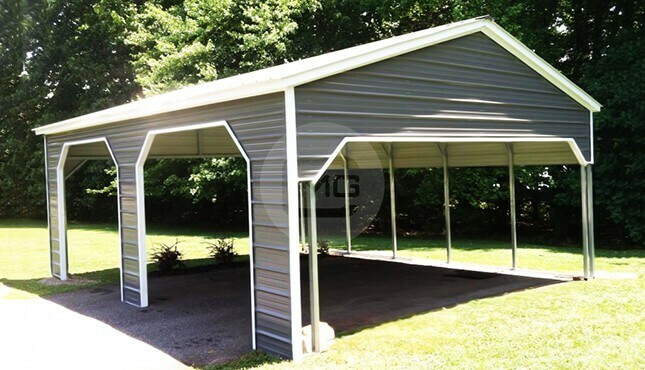 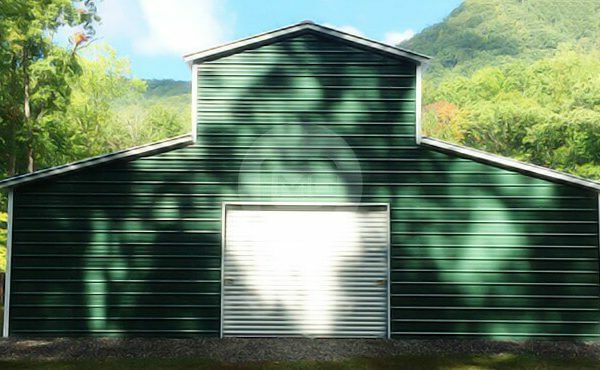 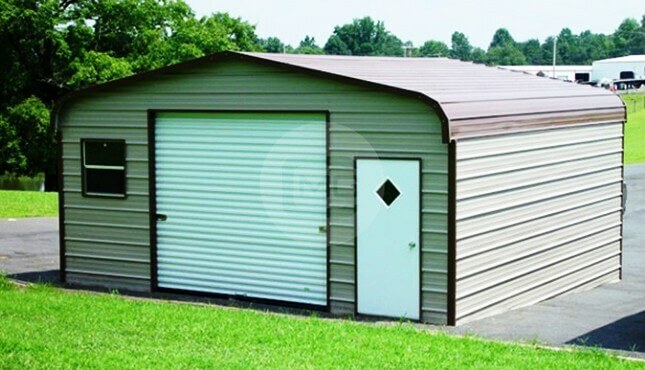 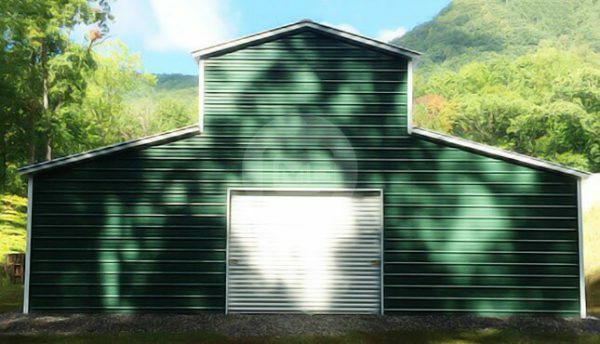 This metal carolina barn has center section 12 x 46 x 17 with (2) 9×8 roll up doors (one on each end), (7) windows. 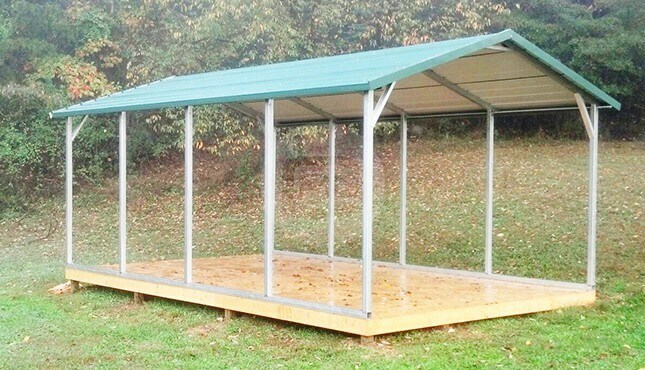 Lean to’s (2) 12 x 46 x 9 with (3) 9×8 roll ups, (4) windows, (1) walk in door. 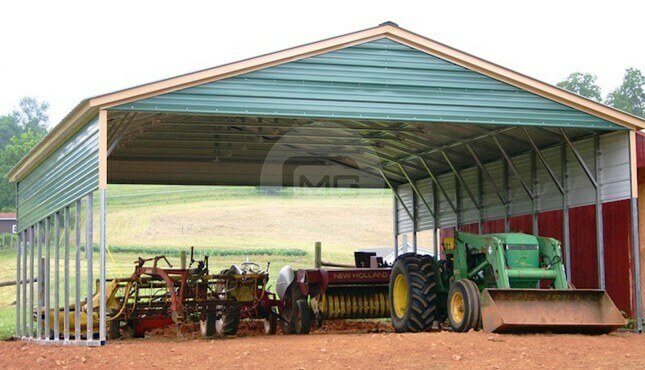 **Note**Additional labor/equipment fee of $750-$1300 may be required.